On April 13, 1743, Thomas Jefferson was born at Shadwell, Virginia. Over 270 years later, Jefferson is trending on Twitter. 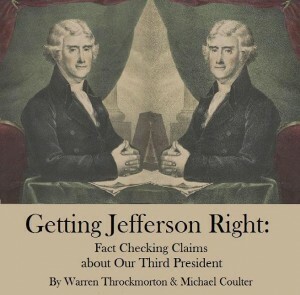 Many people want to claim Jefferson. 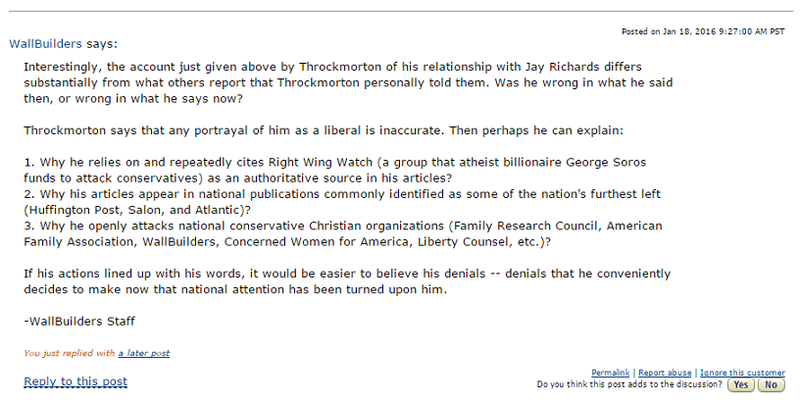 Today, for instance, the Heritage Foundation has an article claiming that the Tea Party embodies Jefferson’s legacy. 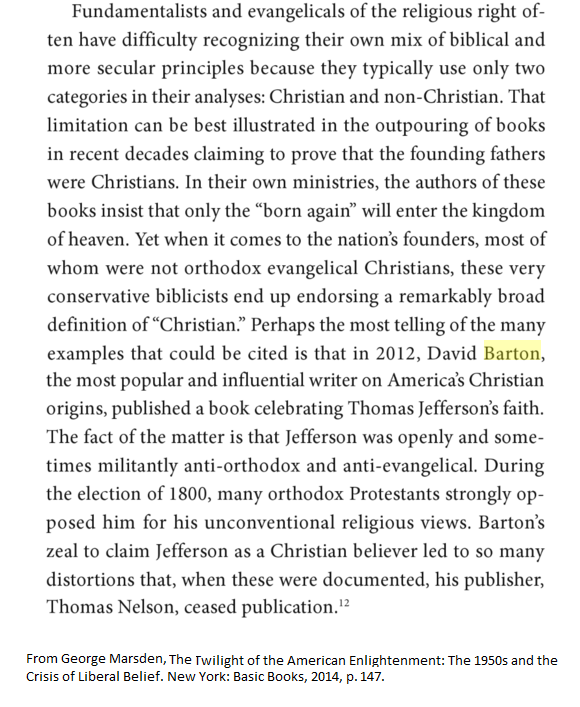 Jefferson had many sides and wasn’t perfectly consistent. The letter to James Madison below might be a surprise to many of Jefferson’s conservative fans. Seven o’clock, and retired to my fireside, I have determined to enter into conversation with you; this [Fontainebleau] is a village of about 5,000 inhabitants when the court is not here and 20,000 when they are, occupying a valley thro’ which runs a brook, and on each side of it a ridge of small mountains most of which are naked rock. The king comes here in the fall always, to hunt. His court attend him, as do also the foreign diplomatic corps. But as this is not indispensably required, and my finances do not admit the expence of a continued residence here, I propose to come occasionally to attend the king’s levees, returning again to Paris, distant 40 miles. This being the first trip, I set out yesterday morning to take a view of the place. For this purpose I shaped my course towards the highest of the mountains in sight, to the top of which was about a league. As soon as I had got clear of the town I fell in with a poor woman walking at the same rate with myself and going the same course. Wishing to know the condition of the labouring poor I entered into conversation with her, which I began by enquiries for the path which would lead me into the mountain: and thence proceeded to enquiries into her vocation, condition and circumstance. She told me she was a day labourer, at 8. sous or 4 d. sterling the day; that she had two children to maintain, and to pay a rent of 30 livres for her house (which would consume the hire of 75 days), that often she could get no emploiment, and of course was without bread. As we had walked together near a mile and she had so far served me as a guide, I gave her, on parting 24 sous. She burst into tears of a gratitude which I could perceive was unfeigned, because she was unable to utter a word. She had probably never before received so great an aid. This little attendrissement, with the solitude of my walk led me into a train of reflections on that unequal division of property which occasions the numberless instances of wretchedness which I had observed in this country and is to be observed all over Europe. The property of this country is absolutely concentered in a very few hands, having revenues of from half a million of guineas a year downwards. These employ the flower of the country as servants, some of them having as many as 200 domestics, not labouring. They employ also a great number of manufacturers, and tradesmen, and lastly the class of labouring husbandmen. But after all these comes the most numerous of all the classes, that is, the poor who cannot find work. I asked myself what could be the reason that so many should be permitted to beg who are willing to work, in a country where there is a very considerable proportion of uncultivated lands? These lands are kept idle mostly for the aske of game. It should seem then that it must be because of the enormous wealth of the proprietors which places them above attention to the increase of their revenues by permitting these lands to be laboured. I am conscious that an equal division of property is impracticable. But the consequences of this enormous inequality producing so much misery to the bulk of mankind, legislators cannot invent too many devices for subdividing property, only taking care to let their subdivisions go hand in hand with the natural affections of the human mind. The descent of property of every kind therefore to all the children, or to all the brothers and sisters, or other relations in equal degree is a politic measure, and a practicable one. Another means of silently lessening the inequality of property is to exempt all from taxation below a certain point, and to tax the higher portions of property in geometrical progression as they rise. Whenever there is in any country, uncultivated lands and unemployed poor, it is clear that the laws of property have been so far extended as to violate natural right. The earth is given as a common stock for man to labour and live on. If, for the encouragement of industry we allow it to be appropriated, we must take care that other employment be furnished to those excluded from the appropriation. If we do not the fundamental right to labour the earth returns to the unemployed. It is too soon yet in our country to say that every man who cannot find employment but who can find uncultivated land, shall be at liberty to cultivate it, paying a moderate rent. But it is not too soon to provide by every possible means that as few as possible shall be without a little portion of land. The small landholders are the most precious part of a state. I don’t know what TJ would have thought about The Guess Who, but after reading this letter again, I thought of this song. 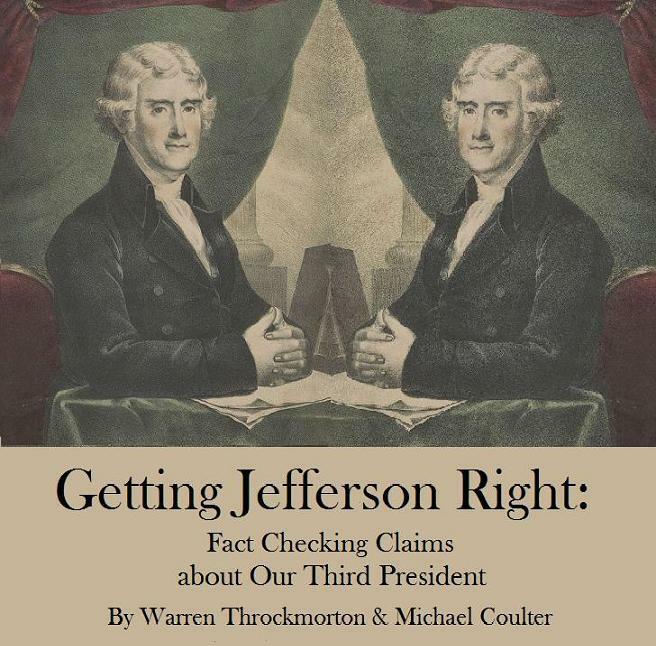 If you want a more scholarly treatment of Jefferson, why not treat yourself to Getting Jefferson Right: Fact Checking Claims about Our Third President? 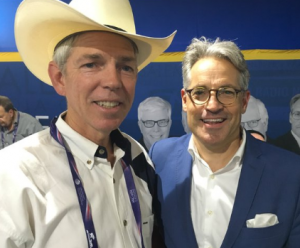 So much for the critics of Barton’s book being liberals.